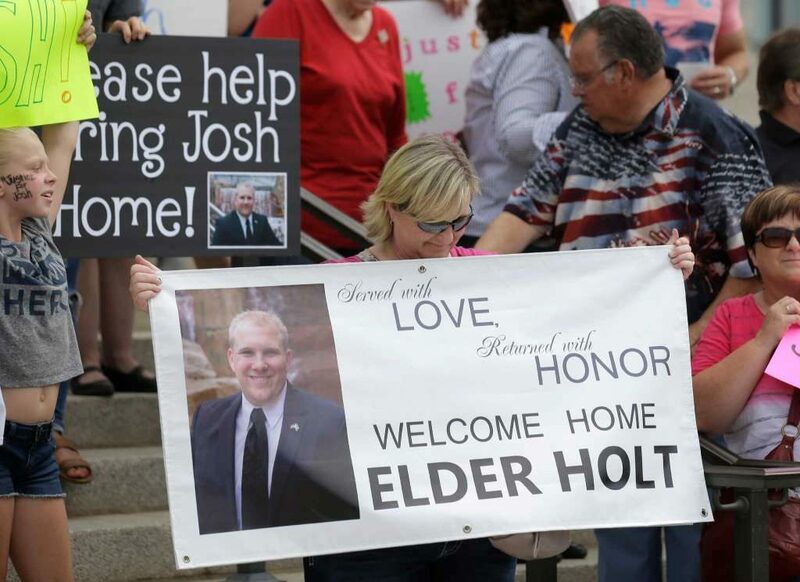 CARACAS, Venezuela (AP) — A powerful U.S. senator traveled to Venezuela Wednesday as pressure mounted on President Nicolas Maduro to hand over a Utah man jailed in the turbulent South American country for nearly two years. The Senate’s No. 2 Democrat is also expected to meet with Maduro to discuss the imprisonment of Joshua Holt, who is being held in a Caracas prison along with several top government opponents awaiting a trial on what the U.S. has called trumped-up weapons charges. Durbin’s visit follows weeks of backchannel talks over Holt between representatives of the two countries in both Caracas and Washington. Last week, Sen. Orrin Hatch, R-Utah, also spoke to Maduro by phone to press for Holt’s release, according to a Venezuelan official with knowledge of the conversation but who was not authorized to discuss it publicly. Hatch’s office refused to comment on the senator’s efforts to secure Holt’s release but said they are unrelated to Durbin’s travel plans. U.S. officials have repeatedly demanded Holt’s release on humanitarian grounds, considering the charges against him and his wife, Thamara Caleno Candelo, to be politically motivated. Maduro is expected to win a second term as president in a May 20 election that the U.S. and Venezuela’s largest opposition parties have rejected as being rigged in Maduro’s favor, leaving the South American leader few if any allies in Washington from either political party.